If you are like most of us in Colorado, when winter comes we spend much of our time indoors. That is why having your basement finished now is the perfect time to do it. 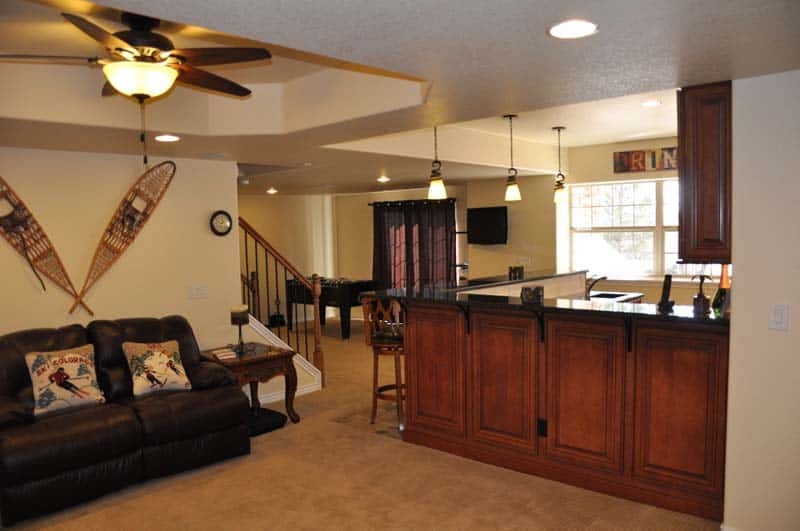 There are so many choices on what to do with your basement. We can convert it into a media room, family room or just an area for entertaining when you have friends over. It could also be a mancave or we can add a guest bedroom and bathroom when you have guests staying with you. Because most of our customers tend to be busy during the spring, summer, fall months and find that the winter is usually the best time to finish your basement. It also is a great time for us because we are less apt to do outdoor projects when the cold weather hits. Most importantly it will add space to the size of your home, giving you more room to do the things you enjoy or need for your home. Beats selling your home because you need more space, and then having to find a new place to live, packing and unpacking, dealing with a real estate agent coming in and out of your house. A basement remodel will save you from having to do all that.